Last week, I had a work related trip that took me to Jonesboro, AR. 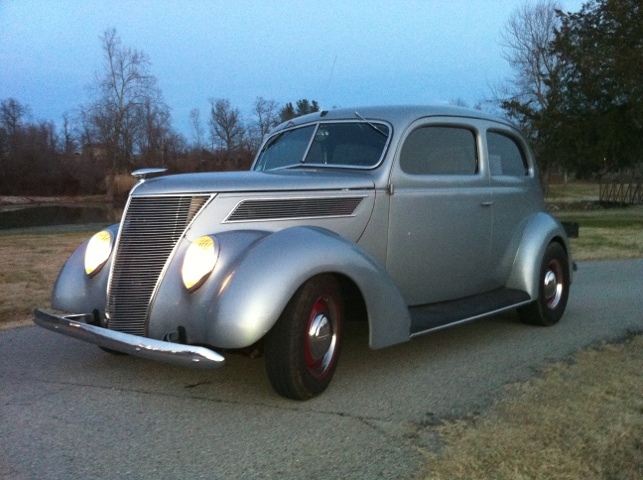 Since I still don’t have a late model, the ride of choice was my ’37 sedan. 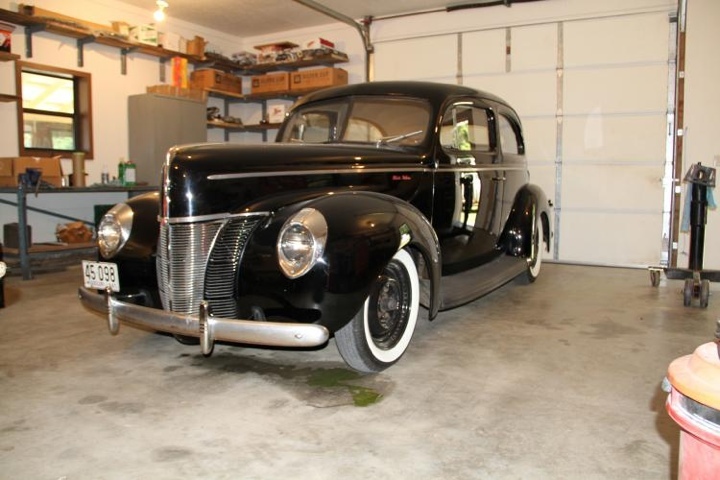 It would be the first trip over 100 miles that I would make in the car since putting in the 8″ Ford rear end. 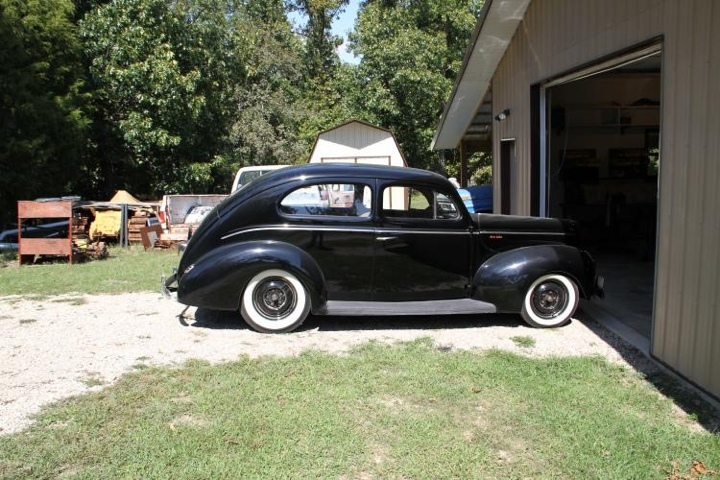 As I was approaching Mammoth Spring, AR, I got the idea to give Andy Goans a shout, and if possible, get a peek at his sweet ’40 Ford Sedan. The phone went to voice mail, so I left a message that I was blasting through town, and if I could catch up with him on the ride home, I would love to see his ’40. 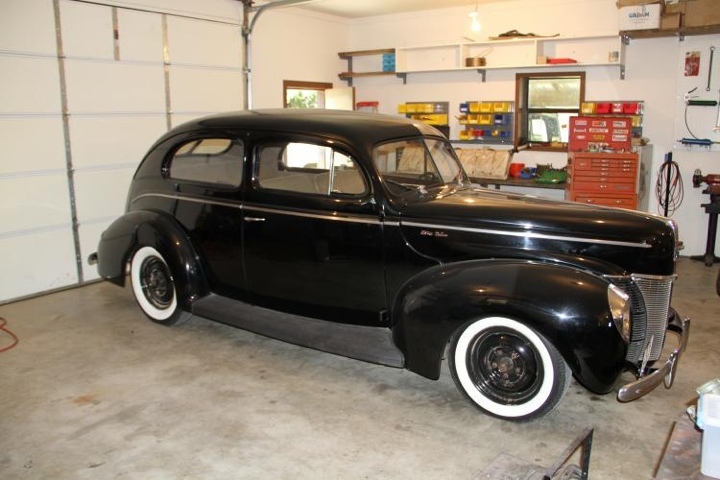 About 10 minutes later, the phone rang, and he said that he would love to show off his sedan. I was already about 8 miles south of town, but I did a quick u-turn and headed north! For those of you who know Andy, he’s all about old school stuff. He’s got a neat ’32 roadster that doesn’t have a part on it that is newer than 1941, and he’s driven that thing all over the midwest. 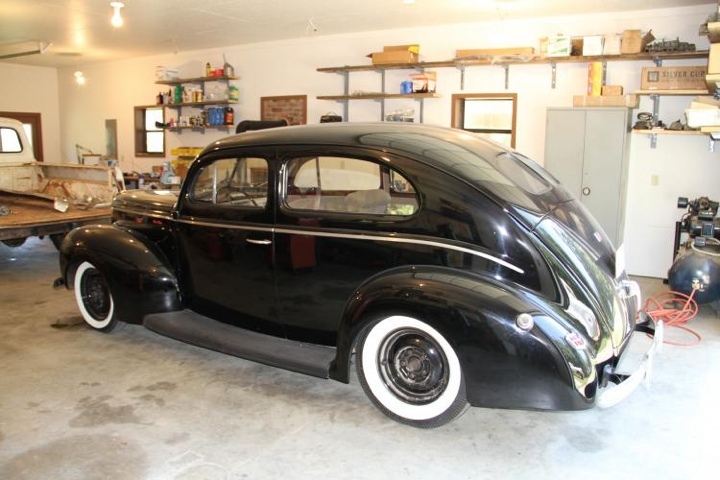 I had seen pic’s of his ’40, and had advised him that if he ever wanted to part with it, I would like to be one of the guys in line. Anyway…I told Andy that I could only stay for a little while, and 4 hours later, I got back on the road. We had a great time talking cars, road trips and stuff. 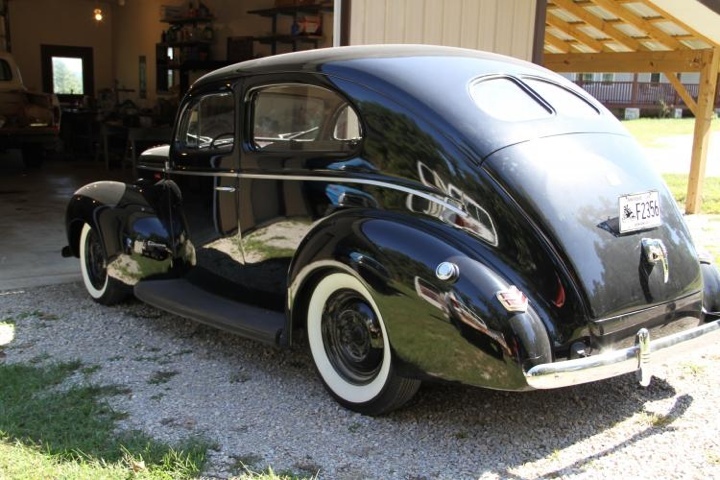 I didn’t snap any pic’s of his ’40, but I did snag a couple out of his photo library on the HAMB.